Kick Start Your Business Growth: Add Live Chat Feature to Your Website - SalesChat.co : Live Chat Operators for Business Sales And Support. Live chat technology in e-commerce sites has been proven to be one of the most obvious modes of communication with their customers. Even a while back, telephonic conversations and emails used to be the mediums of reach between businesses and their customers. However, live chat service has replaced them as the more realistic option for the present time. This new technology has garnered a lot of attention and acknowledgement in the-commerce and customer service industry, all across the globe. It is general knowledge that, telephonic hotlines have greater challenges than attending customers in a physical store. With the implementation of live chat service, the customer support of e-commerce sites has been taken to the next level of efficacy. Most of the companies focus on SEO and advertising to win hearts but when it comes to boosting customer conversion rates, and despite, they fall behind in line. Here is the new age and so-far most effective way of handling customer queries on a commercial website while hyping the sales performance. Providing relevant information on any of your product is no just about hosting a descriptive product literature, but also about having a sound response system. A team of experienced and knowledgeable support is the key asset to help you accomplish customer convenience through round-the-clock support. Catering right information at the right time would trigger sales. It also reduces operational costs, additionally. Since the whole point of having live chat is to be cooperative with the customers, robotic greetings and responses can affect the live chat adversely. Video chats have taken the concept of live chat another step ahead with the visual experience adding to the virtual reality. Customers, when connected through video chat, feel more confident about the business they are buying from. In a nut shell, video chats undoubtedly increase client retention rates in a broader way. Furthermore, it has been proven to be one of the most versatile ways to keep your customers engaged and connected to you, face-to-face. Marketing successes is all about driving sales up and enhancing the reach of a brand. It goes without saying that social media now is an important aspect to boost sales. Hence, don’t lose an opportunity to engage your customers with some social media dosage if required, which would additionally heighten their satisfaction level. People, in the era of technological progress, are more comfortable to interact through their gadgets such as phones, tablets, smart watches, etc, while they are on the go. Hence, every business should be ready to be there for online support on any device, no matter wherever they are. 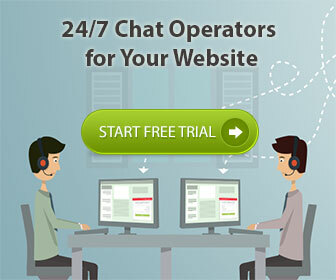 Live chat obviously can give your business a kick start but proper execution needs to be considered with utmost care. 93-E Model Town, Lahore, Pakistan.